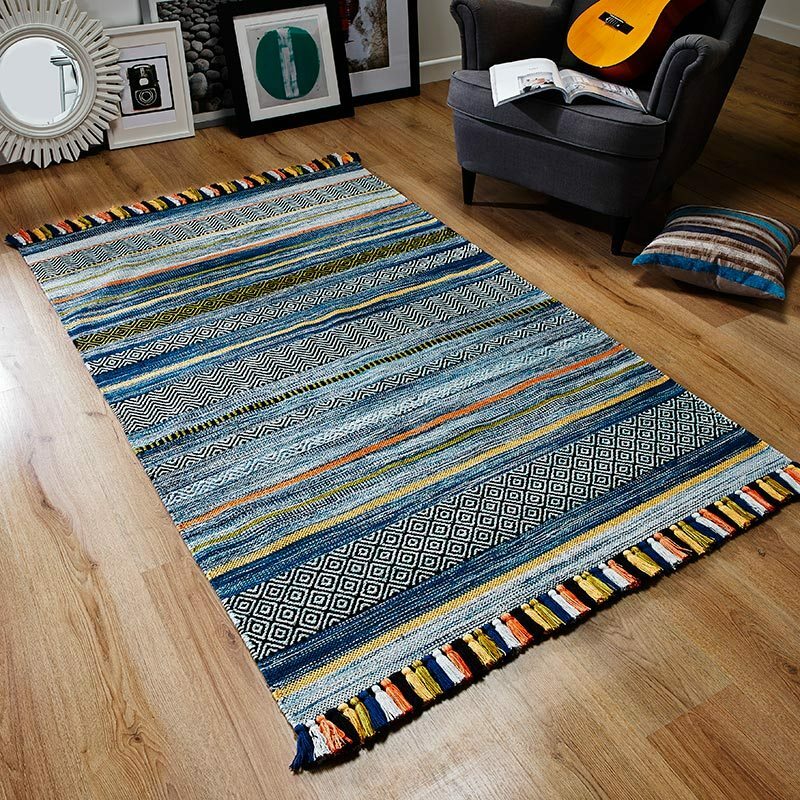 Soften your floor with a Plush Rug in Petrol colour when you add this ultra thick shaggy into the room. With its greyish blue hues this petrol colour shaggy brings a touch of excitement and the glossy sheen of the seriously thick Polyester pile offers glamour and a décorative texture. Bedrooms look lush and dreamy, lounge and sitting rooms welcoming with our ultra thick plush rugs and with Indian made durability they will look fabulous for years to come. Ruffle the sumptuous silky pile for that just got out of bed look. Made by Asiatic the 7cm pile caresses feet and toes while keeping cold floors at bay, you simply can't resist running your fingers through it then settling into a relaxing zone - that's the effect of a plush rug. Warning: may induce drowsiness but hey - just go with it. A 15cm x 160cm sample scarf containing all the lovely colours from this collection is available to purchase and is refundable upon return.